On behalf of our Members, welcome and thanks for visiting the Minnesota Fraternal Order Police Lodge 1 website. MN FOP Lodge 1 is a 501c(8) Non-profit Organization. We have recently upgraded our website and hope you enjoy the new format. The FOP is the largest law enforcement organization in the country, perhaps the world, with over 300,000 members. 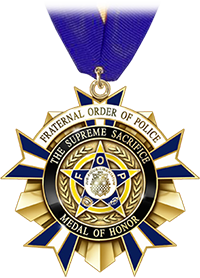 The FOP started in Minnesota in 1991 with Lodge 1 and a few members and has grown to over 2,600 active members in 24 local lodges. The mission of the FOP in Minnesota is to encourage fraternal, educational, charitable, and social activities among law enforcement officers and cultivate a spirit of fraternalism with mutual helpfulness among Members and the people we serve. To provide more funds for benevolent purposes, Lodge 1 became active in Charitable Gambling in 1998. In the twelve years we have been involved in this, Lodge 1 has given out over half a million dollars to local charities and fellow officers who have fallen on hard times. We are no longer involved in charitable gaming. Lodge 1 sponsors many social events for members and their families. Past events have included a booya, summer BBQs, family day with the St. Paul Saints, and an annual golf tournament. If you have recently became an peace officer, know of any peace officers who are not members or who have thought about becoming a member, or if you have any questions, please feel free to contact me or any of the Lodge 1 Officers. So if you have just found us or are thinking about becoming a member, why don't you come and see what we are about. Our monthly meetings are posted on our website well in advance so you can make plans to attend. I hope to see many new members and hope that the current members stay active. Note: When events are confirmed for 2019 they will appear on the schedule. The DC FOP Lodge #1, FOP Auxiliary, DC MPD and DC-COPS are co-hosting their annual Washington Area Law Enforcement Officers Memorial Service, which starts at 11:30 a.m. at DC MPD Headquarters, 300 Indiana Avenue, NW, Washington, DC. The Auxiliary will be hosting a luncheon at the nearby DC FOP Lodge after the service, catered by Mission BBQ. The Blue Mass will be held at 12:10 p.m. at St. Patrick's Catholic Church (10th & G Streets, NW, Washington, DC). For additional information please call 202-347-2713 or visit www.saintpatrickdc.org. At the Annual Blue Mass, first responders gather to remember the contributions of those who have served in law enforcement and public safety agencies and to ask for continued protection for them in the future. Representatives of Federal and local law enforcement and public safety agencies from the Washington, D.C. Metropolitan Area and around the country attend. The National Police Week 5K, hosted by the Officer Down Memorial Page, is held at the beginning of National Police Week each year in Washington D.C. Thousands of runners and walkers, young and old, come together in our Nation's Capitol - and are joined by Virtual Runners around the world - to honor the memory of fallen law enforcement officers who have given their lives in the line of duty. Join us as we Run to Remember the Fallen. Race begins at 9 a.m. Visit www.nationalpoliceweek5k.com for more information and registration. The event begins at 11:00 a.m. at the National Law Enforcement Officers Memorial, 400 E. Street NW, Washington DC. The annual Police K-9 Memorial Service. The memorial service will include a wreath laying ceremony to honor the memory of fallen police K-9s who have given their lives in the line of duty. Please join us as we remember the contributions and sacrifices of our fallen K-9s Heroes. The ceremony will begin at 1 pm and will be held at the National Law Enforcement Officers Memorial, 450 F St. NW, Washington, DC 20001. Arrival Ceremony will begin at 2:00 p.m. at the National Law Enforcement Officers Memorial. To learn more about the Police Unity Tour, visit www.policeunitytour.com, call 973-443-0030, or E-mail info@unitytour.com for more information. The Candlelight Vigil will be held at 8:00 p.m. on the National Mall between 7th and 12th Streets. The event is sponsored by the National Law Enforcement Officers Memorial. No tickets are required and everyone is welcome. For additional information please call 202-737-3400. The FOP DC Lodge will be hosting the local daily events on Lot 8 at RFK Stadium, 2400 East Capital Street S.E. Washington D.C. 20003. The event starts at 11:00 a.m. and goes until 2 a.m. Vendors will be set up during this time and will be there for all three days. Our bar and food service will also be open along with music and entertainment. Pipe bands will be required to check in with security before starting to play. No pipe bands will be allowed to play on May 15 at the site. Sponsored by Concerns of Police Survivors (C.O.P.S.) at the Hilton Alexandria Mark Center Hotel. Family and co-worker survivors have opportunities to receive support to understanding grief, prepare for trial, learn new coping skills, and build connections with others. School-aged children of fallen officers spend the day off-site at local and federal law enforcement academies taking part in activities specially tailored for their ages. Visit www.nationalcops.org or call 573-346-4911 for more information. This event is hosted by the Fraternal Order of Police and takes place at the Grant Statue (west front of the United States Capitol.) During the day you will see honor guard teams and pipe bands all performing for the public as they pay their heart felt tributes to law enforcement and the nation’s surviving families. Time: 8:00 a.m. to approximately 4:00 p.m. Sponsored by the Grand Lodge Fraternal Order of Police and the Grand Lodge Fraternal Order of Police Auxiliary. The Memorial Service will be held on the West Front of the United States Capitol in Washington, D.C. The Service begins at 11:00 a.m. and is expected to run approximately 2 hours. Contact: Lou Cannon (lcannon@dc-fop.org) or Linda Hennie (lshennie@aol.com). The Wreath Laying Ceremony will be held immediately following the Memorial Service. Media inquiries: media.policememorialservice@gmail.com. Honor Guard and Color Guard Teams participating in the Memorial Service should report to First Street and Maryland Avenue SW to meet the USCP Honor Guard Commander. Plan to be in position from 0830 hrs to 1500 hrs when the service concludes. As a reminder, all honor guard rifles must be inert. Please note: Service begins promptly at 11 a.m.
Meeting dates are now quarterly, time and place to be announced by the Lodge President. Congratulations to John Forsberg of Mendota Heights who won the Glock pistol. Thank you for all the support is purchasing raffle tickets.